Spring is here (singing in my best Julie Andrews impression)! What better way to kick-start this wonderful season than with a kale salad movie?! Now, raw kale is a new [re]discovery of mine. I used to try to always eat it raw, but found that it and my belly were never good friends. But it wasn’t until very recently that I learned that you should always massage kale in order to eat it raw and for the best possible outcome. Yep, you read that right…MASSAGE! Cray, huh? You will see in the video below what I mean exactly, but to read about how this process breaks down the indigestible fibers, check out this Huff Post article. Add whatever you have in your fridge, just know that the bed on which it is going on is the real star in this show! P.S. There will be a post on the amazing homemade dressing shown in the video..soon. Promise! 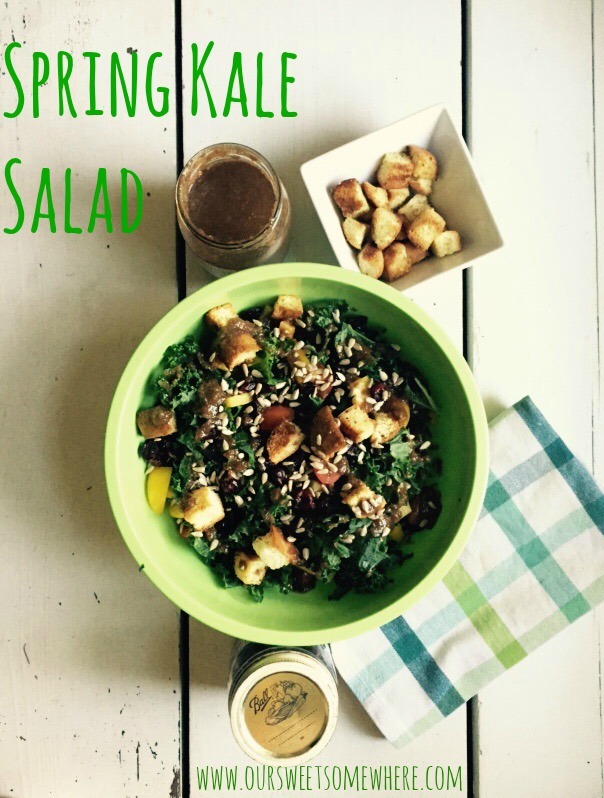 This entry was posted in Recipes and tagged homemade, kale, salad, spring, time laps. Bookmark the permalink. LOVE this video and I cannot wait to give my Kale a nice therapeutic massage.